Lucinda's seventh book to date, Gathered offers a glimpse inside her rich and colorful life by featuring simple and beautiful photographs of the incredible objects she has collected over the past several decades. Some pieces come from local artists, and some come from her travels around the world. Some pieces were inherited, while others were discovered at an auction or on the ground while taking a long walk with her dogs. All of the objects photographed for the book are on display in her home and make up the fabric of her life and memories. In keeping with the theme of Gathered, the beautifully-conceived and designed accordion book is an art object unto itself. 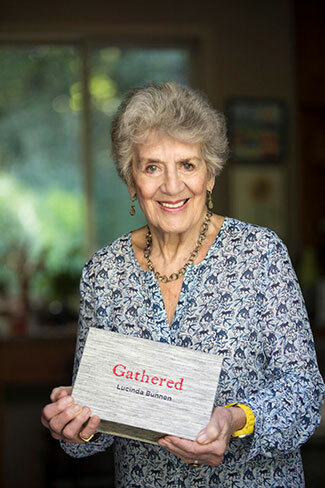 Bunnen worked with photo editor Barbara Griffin and book designer Laurie Shock to bring Gathered to life. Gathered is now available for purchase on our website. Each book will be signed and numbered. Bunnen will have an exhibition of her work from Gathered at Mason Fine Art Gallery from September 13 – October 31. Get your own copy of Gathered now! Copyright 2010-2018 © Lucinda Bunnen. All rights reserved.